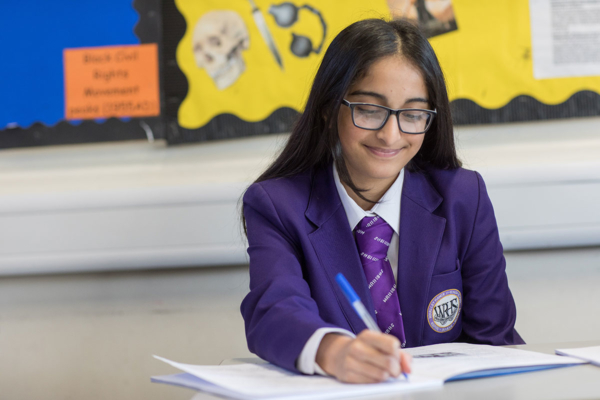 Year 10 Subject Parents Evening is an opportunity for you to meet with your daughter, all of her subject teachers and her Learning Coach, individually, to review her progress and projected attainment. We value our partnership with parents and carers and talking with you will help to ensure that your daughter achieves her full potential. You will be able to discuss your daughter’s achievements to date and ask about any concerns. It is very important that you attend the evening in order to support your daughter prepare for her examinations. You will need to book your 5 minute appointments to see each subject teacher and Learning Coach through our online booking system, following the instructions below. Please ensure you have made your bookings by Monday 22nd April 2019. Each subject teacher will have your daughter’s class book and so you will to be able to see the work she is completing and a checklist of the topics and skills she should be covering in each subject. This will enable you to support your daughter in her independent study at home. There will be a Sixth Form stand in the Dining Room area for you to be able to discuss post-16 choices for your daughter, and a Careers stand with an advisor available for you and your daughter to talk to. As part of the evening, there will be an English Literature workshop in the Bistro focusing on strategies and resources that your daughter can be using to prepare for the English Literature examinations on 15th May and 23rd May. It is important that between or after the subject appointments, you attend this workshop. On arrival, please come to the Student Services Entrance where you will be signed in and directed to the appropriate area. Upon arrival, you will be able to collect an overview of your appointments for the evening and the resources as detailed above. If you have any difficulties in attending this appointment, please let us know. We look forward to meeting you and would like to thank you in advance for attending this important evening to support your daughter.